Iwokrama Celebrates World Water Day 2017 “Wastewater”. Today is World Water Day and like the rest of Guyana and the World, The Iwokrama International Centre for Rain Forest Conservation and Development celebrates the importance of this valuable resource. 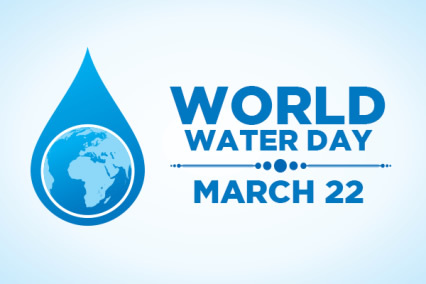 World Water Day is celebrated every year on March 22 to bring attention to actions being taken to tackle the issues surrounding water across the world. This year, the theme is “Wastewater”. Why wastewater? This is because more than 1.8 billion people access water from sources that put them at risk either through their physical health or their environment. Wastewater, which mainly comes from our homes, cities, industries and agriculture, returns to the environment largely untreated, leading to environmental pollution. By bringing awareness to this issue and taking action this theme supports Sustainable Development Goal 6 which aims to reduce untreated release wastewater by half and increase the recycling and safe reuse of wastewater. For Guyana and Iwokrama, this year’s global celebration of water provides a platform to raise awareness of the importance of water and celebrate the vitality of fresh water to our lives, and our unique aquatic ecosystems. Iwokrama is in the centre of one of the four last remaining intact tropical forest ecosystems in the world, the Guiana Shield, and is a national laboratory for sustainable forest management. The Guiana Shield contributes 10 – 15 % to the world’s fresh water stores. Guyana is fortunate to be ranked third in terms of its internal renewable water resources per capita. This drives home the necessity to ensure the management and sustainable use of this vital commodity. At Iwokrama, staff follows the guidelines as set out by the Environmental Protection Agency and the Bureau of Standards where it concerns the dealing with wastewater. The soak ways and grease traps are built to Bureau of Standard specifications. Rainwater is captured for domestic use and the water systems in and around human development activities are monitored to ensure there are no adverse effects. Iwokrama is also aiming to re-channel its gray water for use in watering its gardens. What are some of the things you can do to save water, but reduce and safely reuse wastewater? Keep track of how much water you use every day and challenge yourself to reduce that quantity by 20%. Be a water detective – identifying leaks and fixing them as soon as possible. Consider building soak always and grease traps to reduce the amount of untreated water being released into the environment. Where possible use biodegradable soaps to be more environmentally friendly. Leave some green space in your yard to help absorb and filter rain and release water. Blind, visually impaired children ‘experience’ forest animals for the first time.